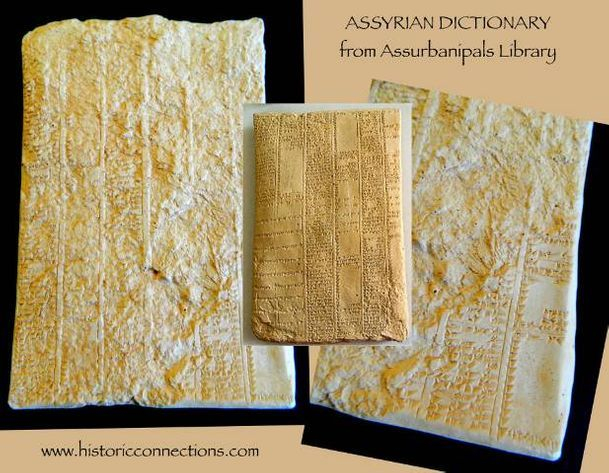 We have a large range of interactive Archaeology & Ancient History products for sale. We supply private collectors, museums, schools, publishers and production companies. We have supplied museums around the world with reproductions to display, production companies we supply with replica items for use in filming of documentaries or movies and publishers for inclusions in content and cover work. We also have some educational pages here on our website. If you have a need contact us and see if we can help. 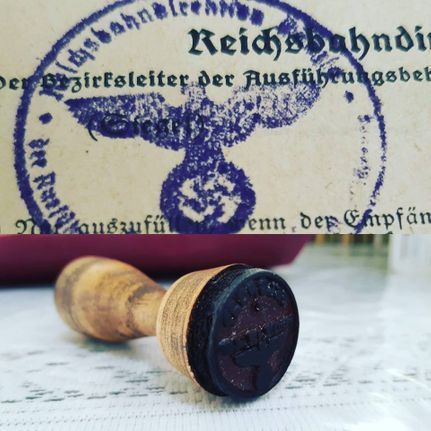 Life under the German Reich. Public Posters posted on the Island of Guernsey..... "Cooperate and you will be fine....don't and we will bomb your house!" See our "Modern History " Page for details. 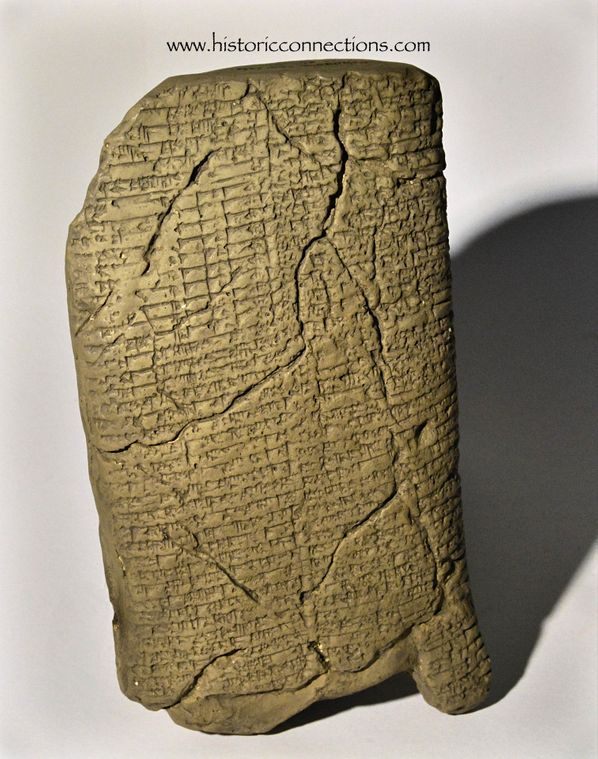 A reproduction of a Sumerian Trigonometry Tablet from Larsa dated 1822-1762BC which is around the time of Hammurabi. This tablet was found in the early 1900s and sold to philanthropist George Plimpton and hence named Plimpton 322. 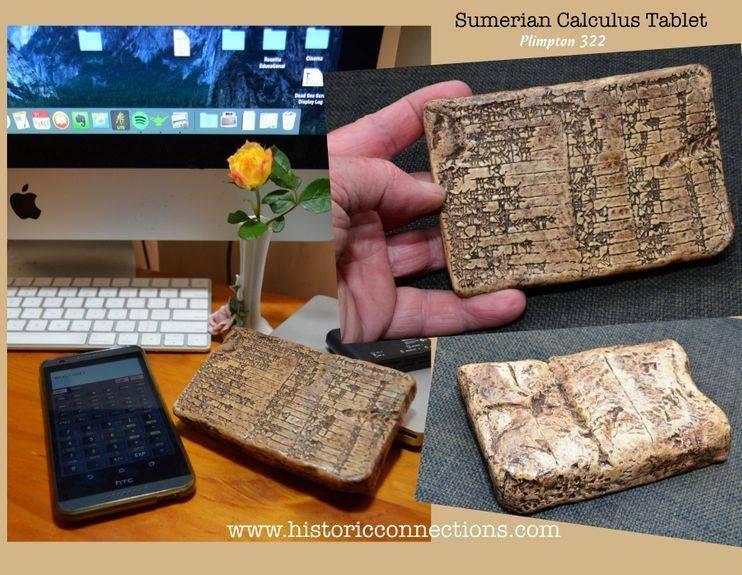 It has been brought to a new attention after University of NSW Professors Daniel Mansfield and Norman Wildberger as Mathematicians reassessed the tablet and its handling of Pythagorean Triplets or the 3/4/5 of right angle triangles. 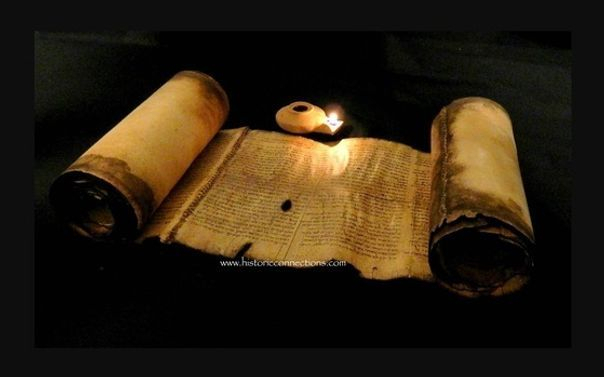 We today use a base 10 decimal system while in ancient Mesopotamia they used a base 60 sexagesimal system from where we get our 60 minutes, 360 degrees and so forth. This tablet describes the proportional shapes of the triangles using a different version than that of the alternate angles and circles. Pythagoras didn't invent the theorem after which he gave name to. It was in existence over a thousand years earlier and in many more diverse form that we realise. Mankind today is still trying to work out just how much the ancients did know about mathematics, science and astronomy. Seal of Isaiah the Prophet Set. A seal impression has been found during the Ophel excavations in Jerusalem in the same strata as a group of seal impressions belonging to King Hezekiah. The text of the seal reads "(Belonging) to Isaiah nvy". Because the seal impression is broken and a portion is missing one has to read into the missing letters. It was excavated by the team of archaeologists Eilat Mazar who because of the Hezekiah context read the inscription as "Belonging to Isaiah the Prophet". 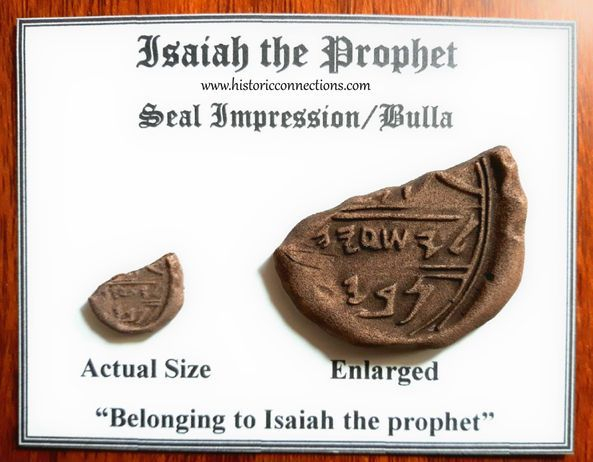 This is a set of two impressions (bullae) of the Isaiah Seal one actual size and one enlarged. Ideal for teaching purposes. See our great new range of seals on our "Seals" page here. We have reintroduced our archaeology classroom kits themed around the life of Ancient Egypt. Excavate a reproduction of various ancient Egyptian Artefacts, then restore, research and present your findings to your class. Each kit comes with a brick sized excavation block, excavation tools, research sheets. A hands on introduction to archaeology. 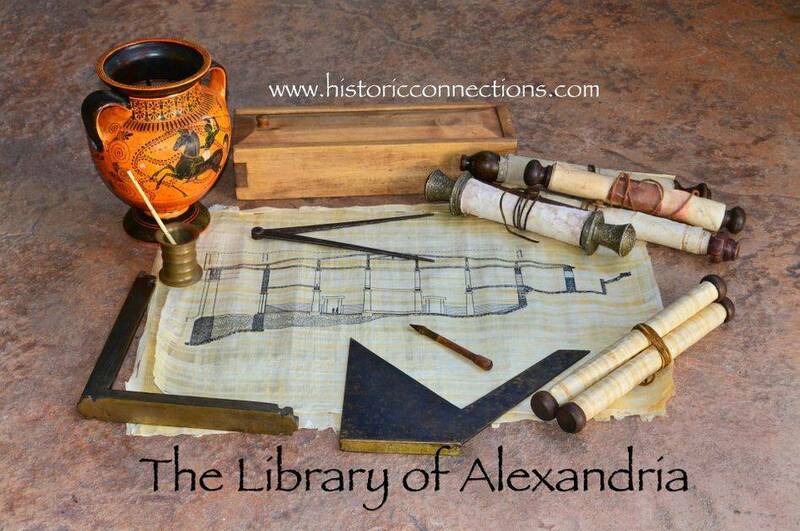 See our "Archaeology - Hands on" page for more details. We have a large range of reproductions of various antiquities from many different civilisations. Many are made here in Australia, while some are made by associates of our across the world. If we don't have what you are looking for contact us and we will see if we can find it for you. Ideal for hands on classroom lessons, school and college library displays and museums. 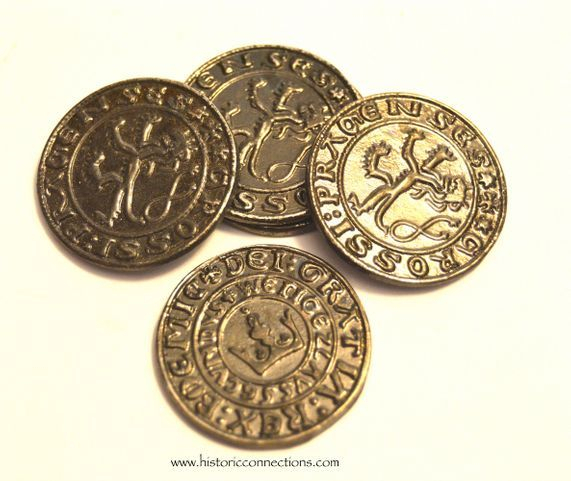 Check out our range of replica ancient coins. From single coins to themed sets, these coins are a great teaching aid. They are all made of metal most of them from pewter, cast from the originals. They can be handled just like the originals and have the general feel and touch of the ancient pieces of currency. Coins are a story from the past. They usually display the image of whoever ruled at the time and the flip side of each coin was most often a propaganda story in itself. We have a range of interactive Archaeology products that are ideal for the classroom and for Home-School situations. 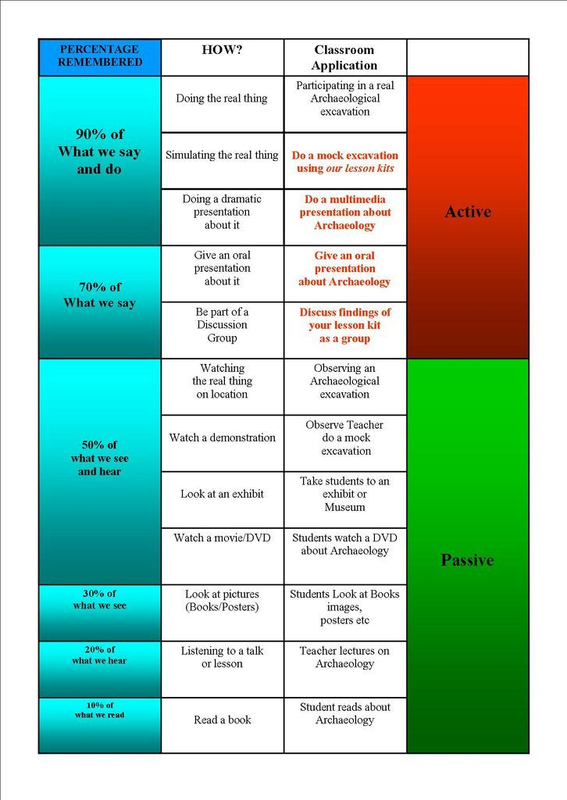 They allow the students to handle archaeology rather than just reading about the topic which then stimulates learning processes. We have Archaeology Classroom Kits, in which the student excavates a faithfully reproduced piece of ancient pottery. Our replica pottery is made in Hebron by craftsmen who have made pottery for generations. See our "Pottery of the Ancient World Kit". We have Artefact Handling Kits that are comprised of genuine artefacts allowing the students to physically "shake hands with the past...."
The students examine and research each item then prepare a classroom presentation based on what they have discovered. A set of fragments of "Egyptian" themed papyrus manuscripts that look as if they could have come from a scroll as the leather ties that once held the scroll closed are still attached to the fragments. # pieces of papyrus with Egyptian text and leather bindings all aged to look ancient. Suitable for display of theatre/movie prop. We have a large range of images for use by publishers and production companies. If any images you find on our website are of interest or if you would like an image based on any category on this site why not contact us for information and pricing. Please note: ALLL OUR IMAGES ARE COPYRIGHT until permission of release is given. History that you can feel, touch..........and experience! Whether you are a lover of ancient history, a school teacher, a home school coordinator or just someone who has a desire to hold a piece of history, we should have something to suit you. As you can see by the side bar, we have a number of product categories to meet most requirements. If there is something you need but can't find on our site, be it a product or just some information, then use the "contact us" form to inquire. If we haven't got what you need, we may be able to find it for you. For you educators out there, we are constantly developing new products to help bring your lessons alive! We are working with the relevant school curriculum as well as with some of the education bodies within Australia, to bring you products that will stimulate your students, get them involved and make their learning process easier and more exciting. Many of our products are interactive. Take a look at our "Archaeology" page for a series of interactive kits for the individual or the classroom. We aim to make learning a memorable experience. Check out our teachers page for ideas. 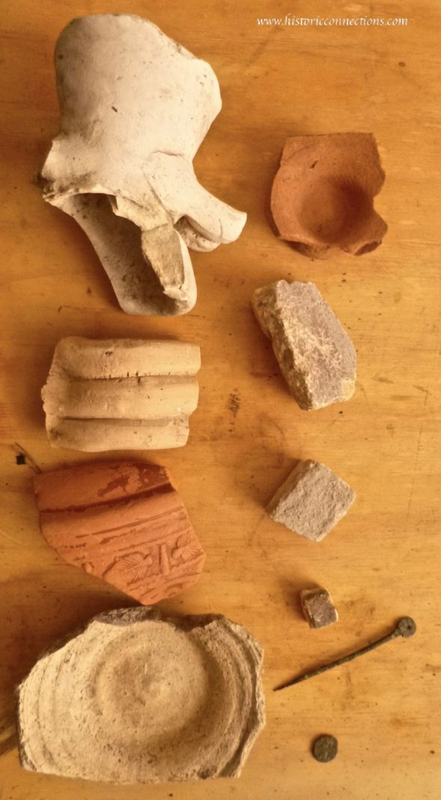 "Pottery of the Ancient World" Archaeology Lesson Kit - in action. If you would like to make an enquiry about a product please use the contact link at the left side of all our pages. We will endeavour to get back to you as soon as possible. If you would like to speak to us you can call us on 0407803749. Please note that due to a large increase in spoof calls and phone marketing we do not answer calls that do not have their phone numbers visible or listed as "Private number". Historic Connections is an Australian family based business based in Elermore Vale (Newcastle) that has been in business since October 2003. We have a keen interest in Ancient History with connections with suppliers all over the world. Our aim is to give you the tools and products that will make your job as a teacher, your study as a student or your hobby as an enthusiast much easier. Our range of products is growing all the time and is catered to meet the growing needs of education. If there is a product you are after but can't find use the contact us page to inquire about availability. If we don't have it we may be able to get it for you. Please make use of our online resources and information. They will be regularly updated. We supply schools with hands on activities such as our range of Archaeology Classroom kits, we supply museums with Historic reproductions used for public education. We supplied a number of items to museums in Melbourne and Singapore for the touring Pompeii exhibit. If you have a project and you are looking for items, let us know. We have many contacts worldwide. Why don't we have an ONLINE CHECKOUT? Due to the nature of our business, we have chosen not to use an online check out. We do have access to one but due to the nature of our product range and varying shipping costs we have chosen not to use it. Let me give you an example. 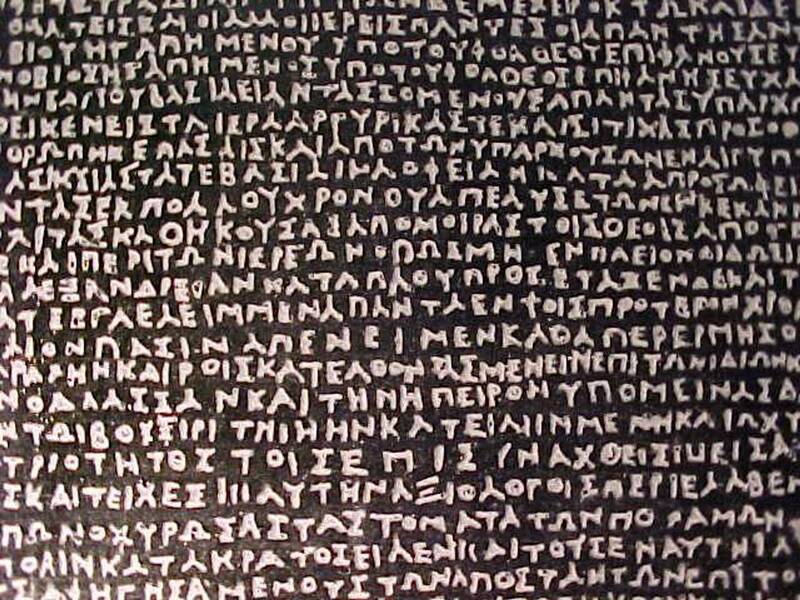 Our products vary in size and weight considerably, from a small papyrus kit to a weighty full size Rosetta Stone. We now ship all over the world, and hence the cost to ship such a huge range of varying products to a wide range of destinations is not a simple one. So what we have chosen to do is, to ship to you at the best possible price for your destination. Within Australia we use couriers as much as possible, but couriers can become expensive in certain areas and hence Australia Post becomes a better option. There are even some times when we deliver products in person. So to purchase an item or if you simply want to know the shipping costs, either use our contact page to send us your inquiry and we will get back to you with the best possible shipping costs. We can then invoice you using a regular invoicing system, that allows you to pay by credit card or Australia Post Money order, or in the case of Schools we do accept Business cheques. We can invoice you with Paypal which is a great secure way to pay with your credit card or we can send you the information to allow you to process your payment with your credit card via Stratapay. With Stratapay you simply phone your credit card information to their office (for the price of a local call within Australia) and we dispatch your goods as soon as the payment appears in our system. (Usually within two working days). You can phone your credit card information through to us and we process you shipment immediately. Products that are in stock are shipped immediately. International orders usually take 7-10 days. Please note that due to a large increase in spoof calls and phone marketing we do not answer calls that do not have their phone numbers visible or listed as "Private number".